The holiday season is finally here and I’m not talking about the stupid-early Chrismahanukwanzakah displays in stores and on houses. 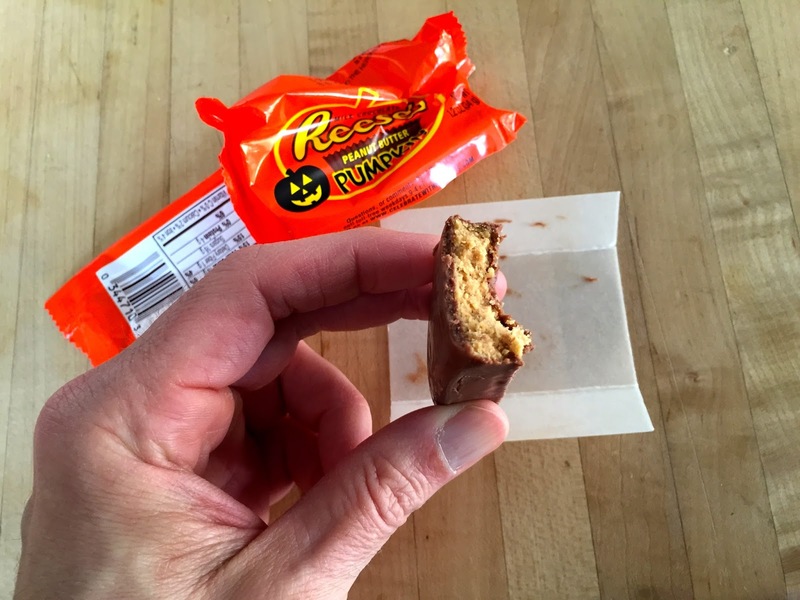 I’m talking about that magical period of the year during which the special Reese’s-Peanut-Butter-Cups-That-Aren’t-Actually-Cups-At-All are available. Joy to the World! 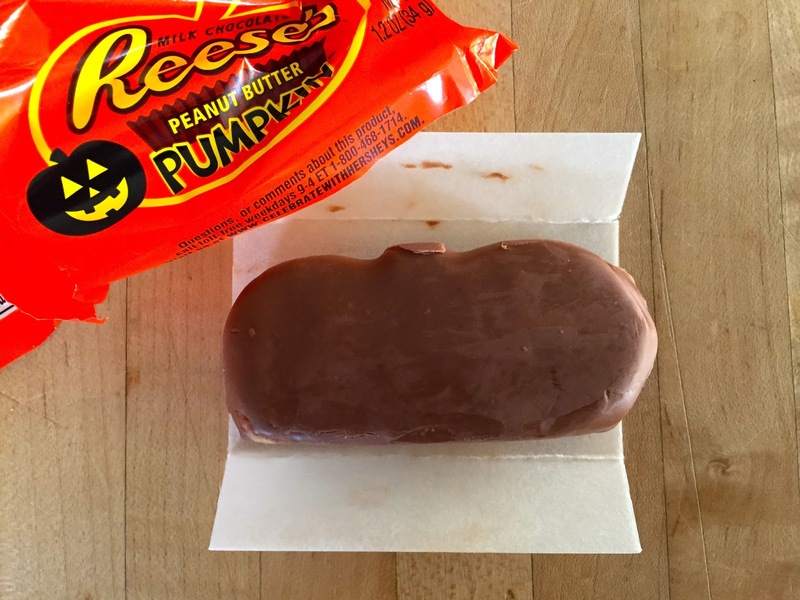 The jolly old elves at Reese’s kick it all off with vaguely pumpkin-shaped blobs of chocolate-peanut butter goodness at Halloween. Then we roll right into the vaguely Christmas tree-shaped blobs. Those hang around through the first of the year and that’s when the vaguely heart-shaped Valentine’s Day version shows up. Then we finish up the most magical time of the year with the vaguely egg-shaped Easter blobs. All of these things have thicker patches of the Reese’s peanut butter mix and that chocolate-to-peanut-butter ratio makes them even better than the original cup style. The Reeseter Bunny is Reese’s take on the chocolate rabbit. Thicker chocolate walls stuffed with peanut butter filling that tastes so good it would make you slap it out of a baby’s hand and take it for yourself. Because you can never have too much of a good thing (and Reese’s can never get too much of your money) they put out a snowman version at Christmas and a big ol’ heart shaped one at Valentine’s Day. I’m not sure why there isn’t a Halloween Ghost or something yet. What’s going on over at Reese’s that no one has even tried a monster-shaped giant peanut butter cup? Are they trying to break my (peanut butter) heart? They could easily make "The Blob". That’s a monster and all the smaller holiday peanut butter cups are pretty much just blobs anyway. Someone call up Mr. Reese and get him on this. Blow those pumpkins up a couple-three-four sizes, put 'em in a fancy Halloween package and sell me one. Or five. Do it in the spirit of the season.